When you have rosacea — a condition that appears as dry, red skin (usually on your face) — it’s key to understand what triggers your symptoms and what keeps them at bay. Most commonly, food, exposure to sunlight and exercise tends to bring on rosacea flare-ups. Exercise tends to be a significant rosacea trigger because it increases your body temperature. That being said, fitness is essential for your health — so writing off physical activity isn’t a solution either. There are actually a variety of ways that you can exercise without triggering a rosacea flare-up. Baywood Laser & Cosmetic Clinic offers rosacea laser treatments that, combined with more strategic exercising, will substantially reduce your symptoms. A study done by the National Rosacea Society found that 80 percent of 563 people with rosacea found that exercise triggered their condition. Cardio specifically was found to be the type of activity most likely to bring on a flare-up. If you are looking to get help today to subside your rosacea, be sure to get in touch to learn more about our laser treatment! We understand how uncomfortable the condition can be and are committed to providing you with quality treatment that works. Of course, it’s always helpful to take personal steps to help understand your rosacea and create routines and habits that will reduce your number of flare-ups. Exercise is vital for your physical health, which is why it’s important to form a strategy to get active without triggering any flushing. The one thing everyone needs to remember when exercising is the importance of drinking water. 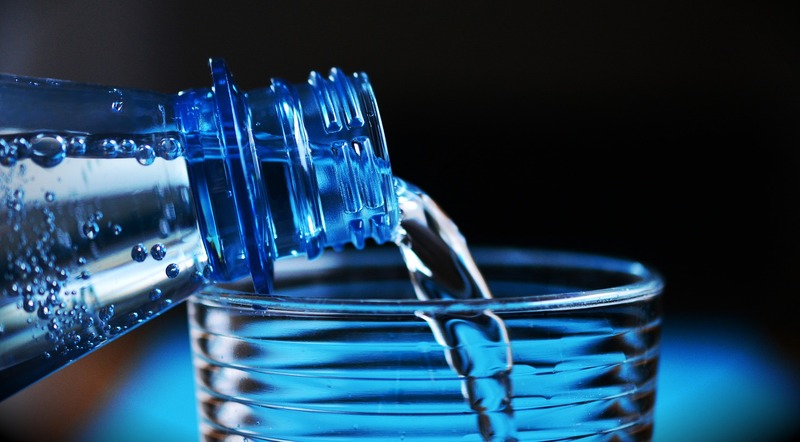 Staying hydrated is key for keeping rosacea symptoms at bay and will also help you stay cool. Heat tends to bring on flushing, which is why it’s better to schedule your outdoor exercise in the morning or evening to avoid exerting yourself in peak temperatures — especially in the summer. It’s a good idea to keep to shaded trails, instead of doing physical activity right under the sun. If you do choose to workout outside, it’s imperative that you armour yourself with sunscreen to protect your skin from UV rays. If you have rosacea, it’s highly suggested that you use a sunscreen with an SPF of 30 or higher. That being said, it is also a good idea to avoid being in the sun between 11 am and 3 pm, considering that’s when the sun is at its strongest. Heat is a major aggravator when you have rosacea, which is why it’s essential to keep yourself cooled down when doing any physical activity. You can cool yourself down during workouts by chewing on ice chips between routines, sipping cold water, or even keeping a damp towel on the back of your neck. It’s also a good idea to be armed with a spray bottle to refresh yourself periodically. You can even do your workout routine in the pool to reduce your chances of overheating. 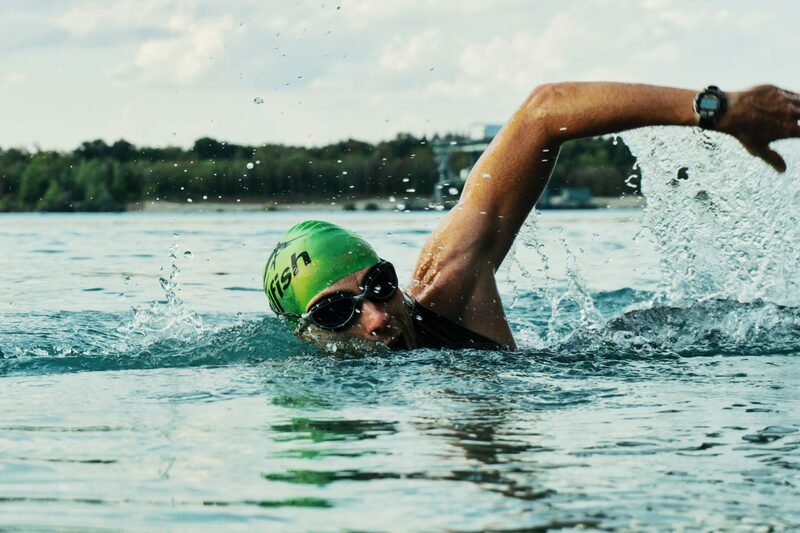 The best part of exercising in the pool is that water is significantly more resistant than land, which makes for better impact. Plus, water is good for your skin in general! Working out outdoors on hot days exposes you to intense UV rays, which is a major rosacea trigger. It’s best to do your physical activity indoors in an air-conditioned room. Plus, this helps to keep you cool during your workout which, as mentioned, is ideal. Pushing yourself for extended periods of times will likely trigger your rosacea, so try to do your exercise in smaller bouts. Instead of doing an hour workout, work out for 15 minutes at three different times of the day. There is no proof that continuous exercise is the only way to reap benefits — what counts is the total time you work out in a given day. According to Everyday Health, it’s key to not exercise for over 45 minutes in one go. Not only is it better to spread out your exercise throughout the day, but it’s also good to vary what activities you are doing. Instead of doing cardio for 45 minutes straight, split up the cardio with different floor exercises in between. Generally, you’re only going to want to do one activity for 10 to 20 minutes if you hope to prevent aggravating your symptoms. High-intensity activities like cardio and weights are common rosacea triggers. 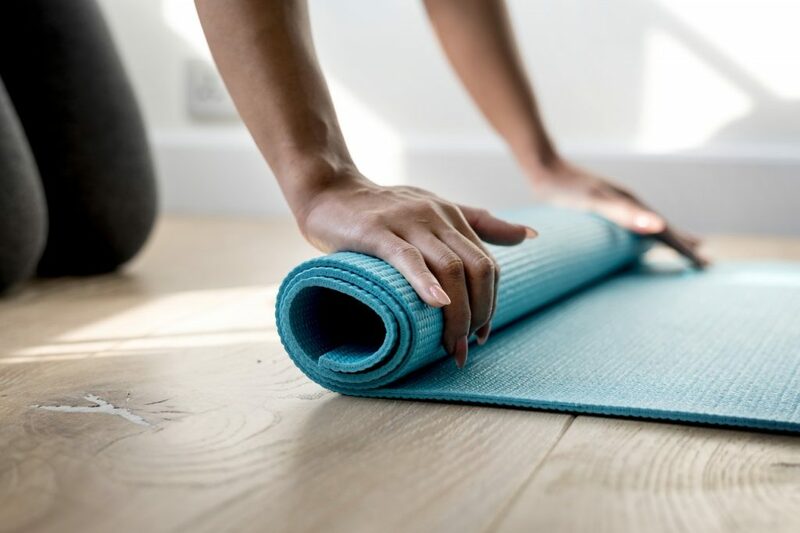 Instead of pushing yourself to do strenuous activities, try lower impact exercise like swimming, yoga and Pilates that will help keep you active and limber without bringing upon a flare-up. There are plenty of low impact exercises online that you can try out so you can identify the right one for you and your goals. It’s best to avoid getting your workout on in a stuffy room — find a place that is well ventilated so that you don’t overheat. According to WikiHow, air flow helps to keep the space cool and reduces the chances of triggering your symptoms. Talking to a professional in the field is the best way to help yourself form exercise strategies that will reduce rosacea flare-ups. The Baywood Clinic provides rosacea treatment that can also reduce your symptoms. With a combination of treatment and lower-impact exercises, you may find that you can get fit without being worried about causing flushing. We offer a wide variety of laser and cosmetic treatments, including our laser procedure to reduce rosacea. Our treatment helps to reduce not only rosacea but facial redness, spider veins and scars. Book your consultation today to learn more about us and identify the treatment package that makes the most sense for you, and your skin. We want to work with you to identify your very best option. Rest easy knowing that we use our state-of-the-art laser – the VBeam laser – to treat your rosacea, that it will be personally used by one of our board-certified physicians. The treatment is fast and painless, and you will likely see results fairly quickly. The VBeam laser used in major university hospitals is widely accepted as the gold standard of treatment for rosacea. It’s been used over two decades to treat rosacea, among other skin conditions. It is even effective in treating vascular birthmarks — and doesn’t even require topical anesthetic. Get in touch with us today for more information on the procedure! We want to help you identify the best option for treating your rosacea. It’s always a great idea to cool down as quickly as possible after your workout if you suffer with Rosacea. We suggest that patients place a mildly cool, wet towel on their faces, and hop into a soothing, cool shower as soon as possible after they finish exercising. This settles down the blood vessels that have become enlarged by the increased blood flow created by the rise in heart rate. Another idea is the application of soothing lotions. Not all are right for this purpose – some may actually irritate your skin. So be careful and find one that is just right for you. Rosacea is a condition that can cause a lot of distress. Some iPhone users have found that a new app can help them cope with it by sharing in an online community. By posting pictures that show what they look up make-up free, they are trying to increase awareness about this condition. It’s important to realize how common this condition is, and that rosacea treatment is available. Don’t give up – and keep exercising.